To many noobs who are unfamiliar with the structure and functionality of Ethernet switches may get confused with Combo SFP ports. Combo SFP ports are often labeled obviously. You may have some questions in your mind like what is Combo port and how should I use with it. Since there are many Gigabit Ethernet ports and SFP slots on switches, you may ask whether I used these ports correctly? Don’t worry, this post aims to explain Combo SFP port for your reference. What Is Combo SFP Port? A Gigabit Ethernet Combo port is both a copper port, i.e. a RJ-45 interface and a SFP port (also called Mini-GBIC connector). 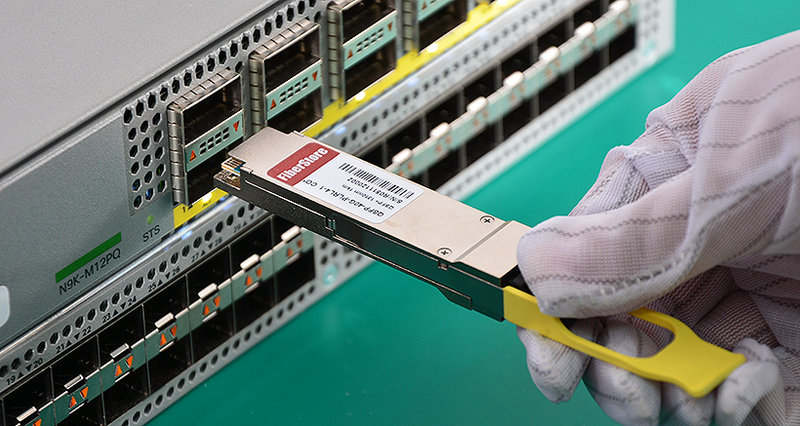 It supports both copper (RJ-45) connections and optional industry-standard SFP modules. Combo SFP ports share the same switch fabric and port number and allow the user to configure their switch according to their application. But you can’t use both of them at the same time. When either of the ports are enabled, the other port is automatically disabled. It means that you can either have a cable plugged into the copper 10/100/1000 interface, or the cable plugged into the SFP slot. If you have both plugged in Combo ports, only one will work. For example, a switch has 12 x 10/100/1000Base-T ports and 2 Gigabit Ethernet Combo ports, therefore it could be configured to have 14 copper ports or 13 copper ports & 1 SFP port, or 12 copper ports & 2 SFP ports, etc. A Combo port is a way to provide different types of connectivity without taking up unused switch fabric, giving users the power and flexibility to configure their switch for their unique application requirements. There are many switches with combo SFP ports, such as Linksys LGS318 which is a 18-port Smart Gigabit Switch with two combo shared ports and Netgear ProSafe 24-port Gigabit Switch with 2 Gigabit Combo SFP—JGS524F. Today I’m going to recommend FS.COM 24-port switch with 4 Combo SFP—S3800-24F4S. S3800-24F4S 24-port Gigabit switch is designed to meet the demand of cost-effective Gigabit access or aggregation for enterprise networks and operators customers. 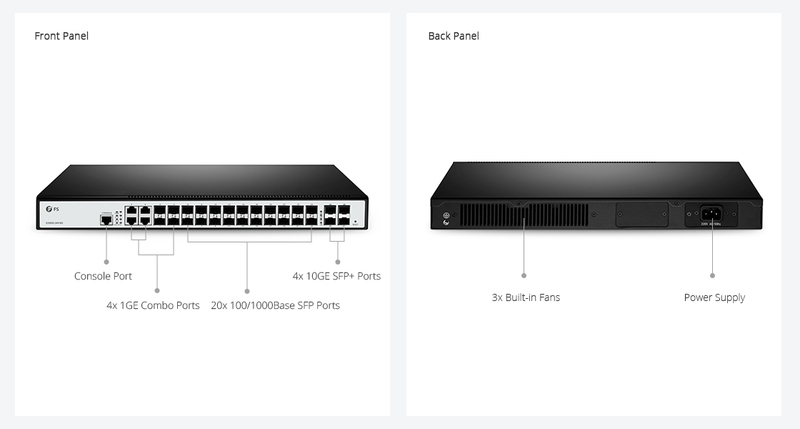 The Combo SFP ports—a single interface with dual front ends (an RJ-45 connector and an SFP module connector) on S3800-24F4S 24-port switch facilitate the use of different connectivity, making it more flexible to configure the switch. It has a console port, 4 × 1GE Combo ports, 20 × 100/1000Base SFP ports and 4 × 10GE SFP+ ports. It offers up to 128Gbps switching capacity to simultaneously process traffic on all ports at line rate without any packet loss. Generally speaking, Combo SFP ports are labeled by vendors. If you can’t tell, here is a way to help you identify. Identifying a combo port is based on the interface identifier on the switch panel. If two ports have the same ID but connect to different transmission media, the two ports are multiplexed as a combo port. Then you can run the display interface command to display the combo port. If you need any 24-port switch or any other Ethernet switch, welcome to consult FS.COM. Related Article: How Much Do You Know About Gigabit Ethernet Switch? This entry was posted in Ethernet Switch and tagged 24 port switch, 24-port Gigabit Switch, Combo port, Combo SFP, Combo SFP port on December 8, 2017 by Admin.